What makes your mouth water the most? Pizza, pasta, delicious salads oder fish? 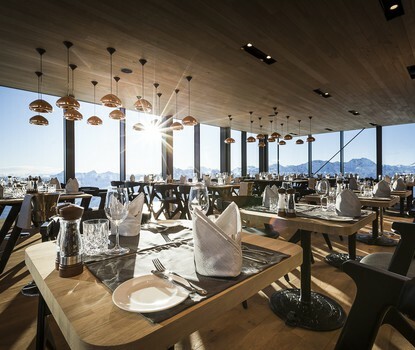 The restaurants in Obergurgl-Hochgurgl warmly welcomes you for lunch, dinner or only for a drink. Relax in sunny terrace or enjoy a romantic dinner with your partner. 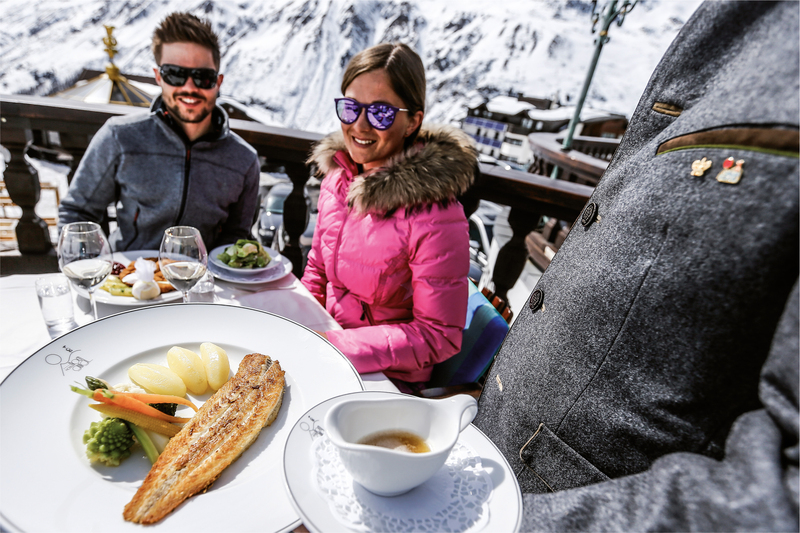 Here’s is an overview of our favourite restaurants in Obergurgl-Hochgurgl. 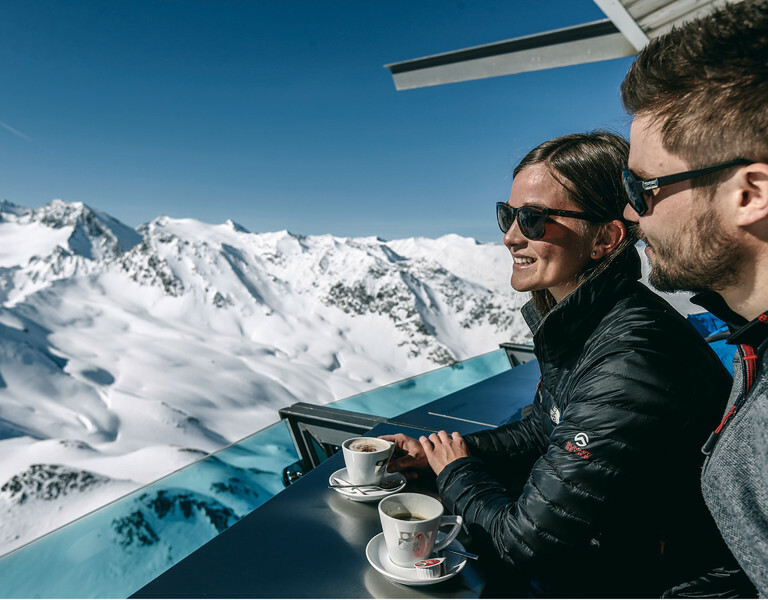 From the big sun terrace of this cozy restaurant you can enjoy the breathtaking view accross the mountain scenery in the Gurgl area and of course our culinary tidbits that will be served at noon for hasty skiers and in the evening for bon vivants. On the menu you will not only find pizza and pasta, but also delicious salads as well as fish and meat dishes. Ice cream and tiramisu round out the offer. Eat well in the Restaurant Vitalhotel Mühle. From 12 to 2pm and from 6.30 to 8.30. You want to spend a relaxed evening with your friends? Then Krumpns Stadl is your place to go! Enjoy good music and cool atmosphere on Tuesdays and Thursdays with our DJ or live music. Every Thursday folklore get-togethers with Tyrolean delicacies (reservation required). If you are looking for an evening to remember, you will find it at Toni’s Almhütte. No matter if you are two or a whole group of friends – the atmosphere will always be fine. Don’t miss out on the delicious fondues. Wiesental Valley we believe in regionality. The majority of our food and beverages originate from local production. Thanks to their acute sense for delicacies, our kitchen team turns every simple meal into a special taste experience.